Why is the Iran nuclear deal so dangerous? Joel Rosenberg’s detailed analysis of the agreement. (Denver, Colorado) — I have finished reading the 159-page Iran nuclear deal, known as the “Joint Comprehensive Plan of Action” (or JCPOA), as well as numerous analyses by various Middle East think tanks, and I’ve consulted with a number of Mideast experts, nuclear experts, and former senior U.S. government officials. Here’s my conclusion: this deal is insane. That may not be the most diplomatic way to put it, but I’m afraid that’s the truth. The deal doesn’t live up to the very “red lines” that President Obama and his team set. 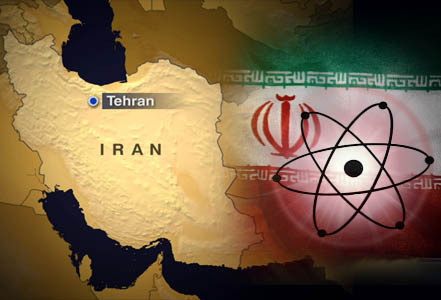 The deal doesn’t end Iran’s nuclear program — it legalizes, legitimizes, expands it. The deal provides Iran not just one but two paths to The Bomb — in 10 to 15 years if Iran keeps the agreement, and much sooner if Iran cheats. The details inside the deal are absolutely stunning — and catastrophically dangerous for the U.S., Israel and our Sunni Arab neighbors. This entry was posted in Geopolitics, Israel, Middle-East, USA and tagged Iran, Koenig, Netanyahu, Obama, Rosenberg, Terrorism by Richard Barker. Bookmark the permalink.